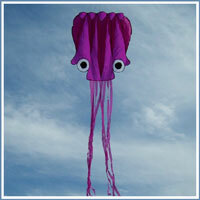 If only you knew about the many different types of kites available. Well don't worry about it. 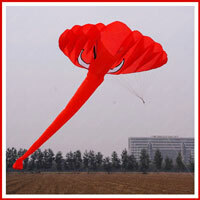 You have come to the right place to learn about many different kites designs. 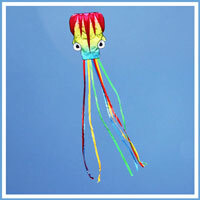 We even have kite pictures for you to check out and Wow, some of these types of kite are sensational. When you see them you might even wonder how they fly, I know I do. So, if I were to ask you what different kite names do you know, what would be your answer? I can tell you right now that I don't know all of the kite names. What is it about kites that make them so fun? People have made and flown kites for centuries. Some fly them just for the fun and recreation of it all. Others love to launch their kite into the breeze and wrestle with it, hoping to prove themselves strong and victorious (this is where I fit in). 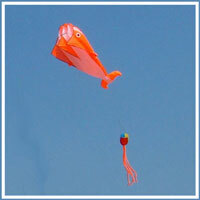 People also love to challenge their kite flying ability and attempt to fly as high as possible. I know in some countries people will fight with their kites. The goal is to try to get your opponents kite to fall to the ground. If you do, then their kite becomes yours - cool! 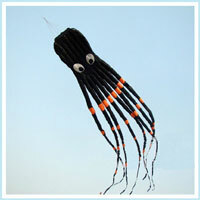 Japanese people traditionally make very large kites which actually fly. There must be a good wind to get these kites airborne though. These kites are made with silk cloth, bamboo and ropes. As you may imagine it needs many people to launch these kites into the wind. 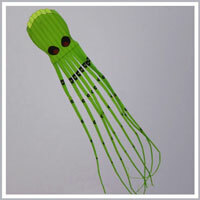 I hope you enjoy selecting your very own kite/s to fly. 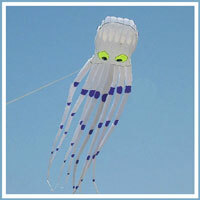 Should you being searching for a different kite design to use as a gift we have many more kites available. Perhaps you can share your love of kites and kite flying by bringing your photos and posting them on our Kite pictures page by clicking here. 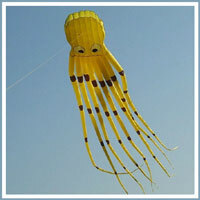 These kites are great to fly at Kite Festivals, in parks and open fields, at a beach, where you go camping, on holidays and wherever there is enough space for kite flying without bothering other people. Happy times flying your different types of kites. 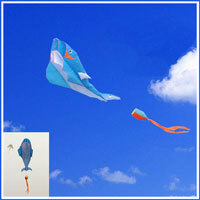 We continue showing you the many different types of kites below. 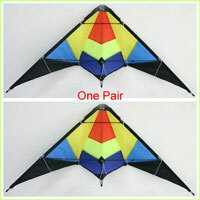 The question is which kite would you like to own or give as a gift?